Welcome to GREEN LOTUS SAKSAHM, where you will make your friends feel Green with envy and comfort living. 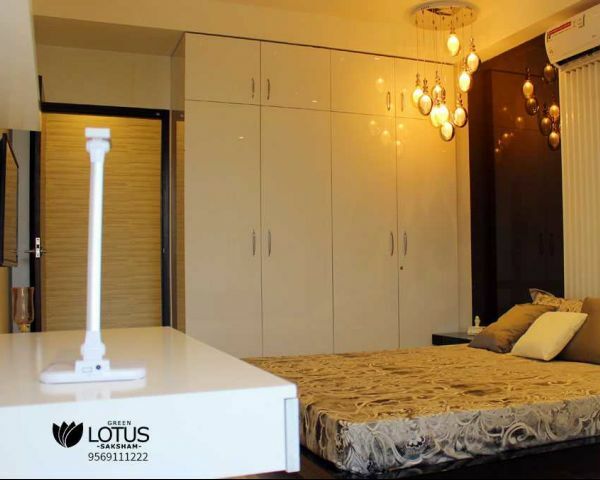 Green Lotus SAKSHAMwould be one of the best projects of MAYA BUILDERS. Complete with all of the latest luxuries and features, these beautiful 1, 2, 3, 3+1, 4 & 5 BHK Apartments and commercial showroom also available in Zirakpur have been designed to offer the finest comforts .The apartments are located on the outskirts of the Tri-city in sylvan surroundings. 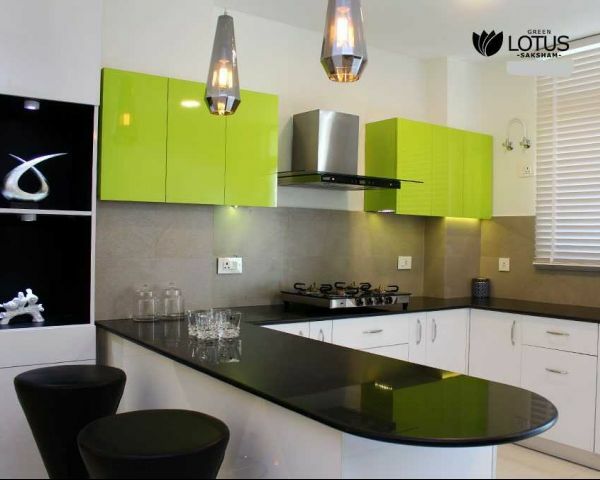 GREEN LOTUS SAKSHAM is one of its kind housing projects that give a true green living experience. 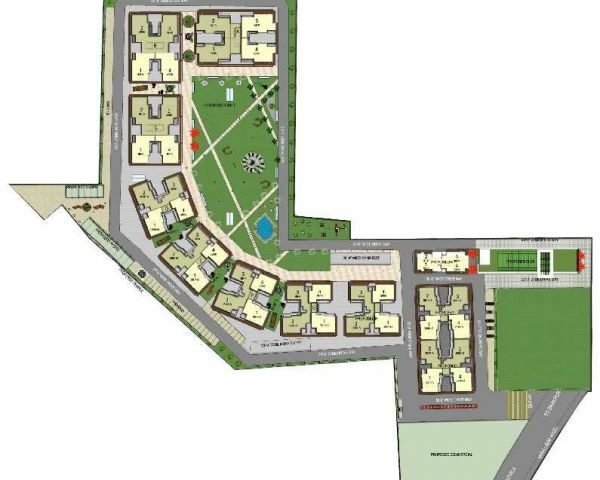 A gated community, it is self-sufficient in every regard complete with all the amenities for leading a fulfilling life. The buildings are resistant to elements and are durable. Within minutes from city beautiful, yet far away from the hustle & bustle of the Tri-city, the project offers a peaceful and sustainable lifestyle. 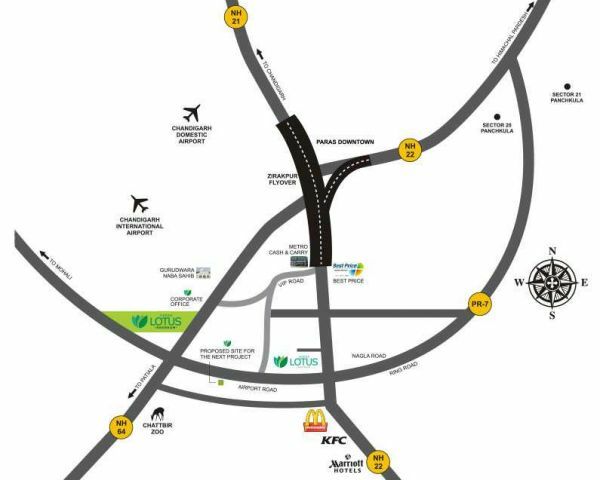 GREEN LOTUS SAKSHAM is the most promising green project of the region located at ZIRAKPUR-PATIALA HIGHWAY,NH-64. 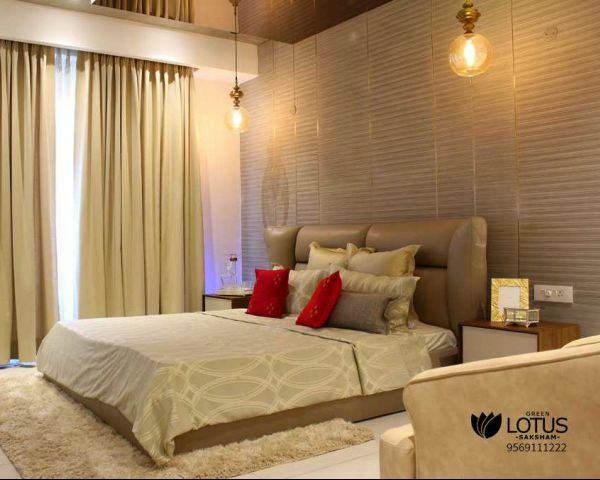 Peaceful living and high quality construction are the standard features at GREEN LOTUS SAKSHAM Apartments in Zirakpur. We have made the use of green home technology which is the need of the hour as our surroundings is getting contaminated with every passing minute. This green solution has helped a lot in energy conservation. Due to which the cost of living has been reduced to a large extent. The architecture of the flats is modern that matches well with the requirements of the youngsters. 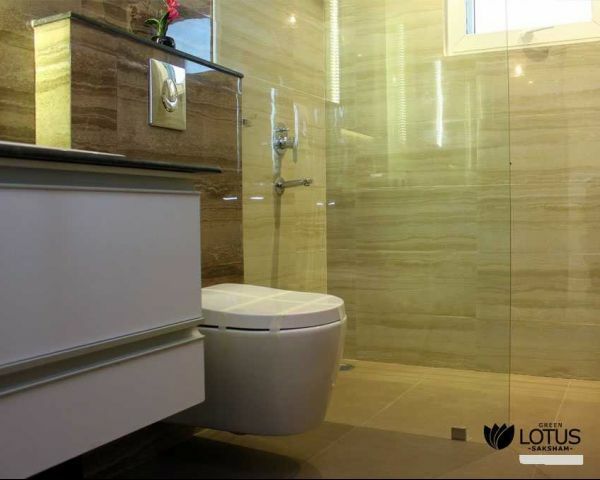 It s evident in our spacious floor plans, which are designed to give you the utmost luxurious living. The modular technology in kitchens is an additional benefit seen in these flats. . best features are eco-friendly material, big glass window panels, Water efficient fixtures, rain water harvesting, low cost of living & higher resale value. As the number of vehicles increases exponentially around the globe, so is the need to adopt a facility where we can overcome the parking facility. All apartments including 1 bhk, 2 bhk, 3 bhk, 4 bhk, 5 bhk Flats and commercial showroom in Zirakpur, have underground parking that helps in the better utilization of the space for green garden. Major attraction is the natural view which brings you close to nature. 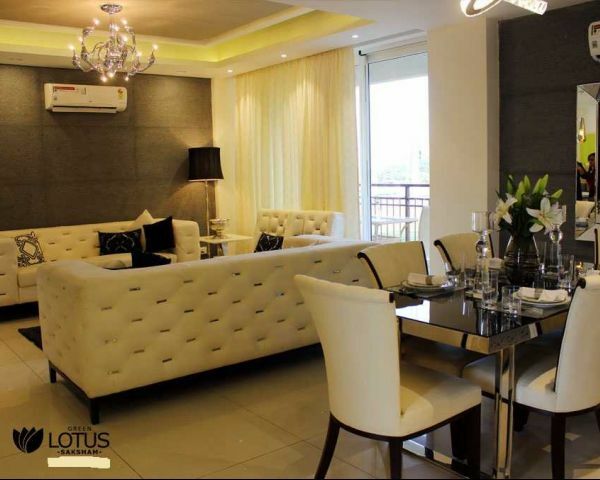 4BHK luxurious apartment in green lotus saksham at zirakpur.